Out of the cited experimental developments, methods were verified for changing lift of profiles injecting air into the grooves. 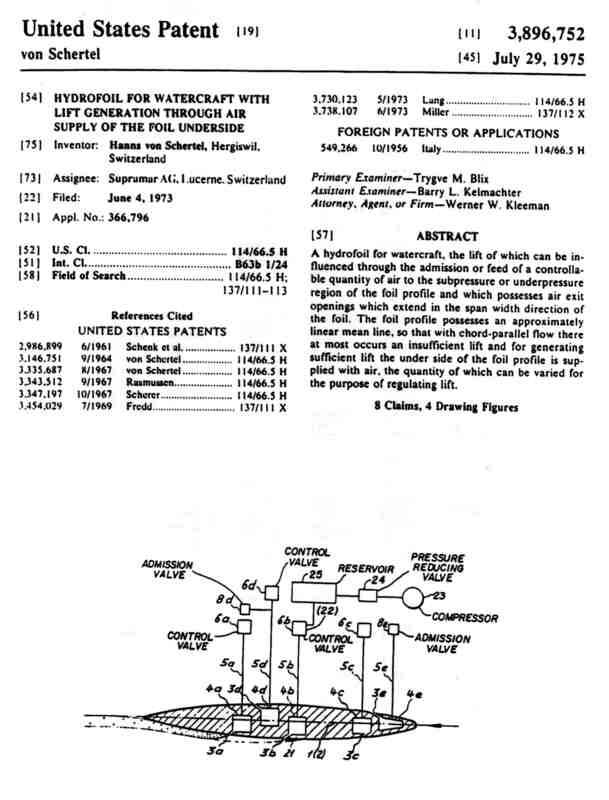 This development did go a decisive step beyond earlier work done in the early 70‘s summarized with the patent below. Typical lift-change as a function of injected air, taken from tests at IMHEF Swiss Federal Institute of Technology Lausanne high speed cavitation tunnel runs.